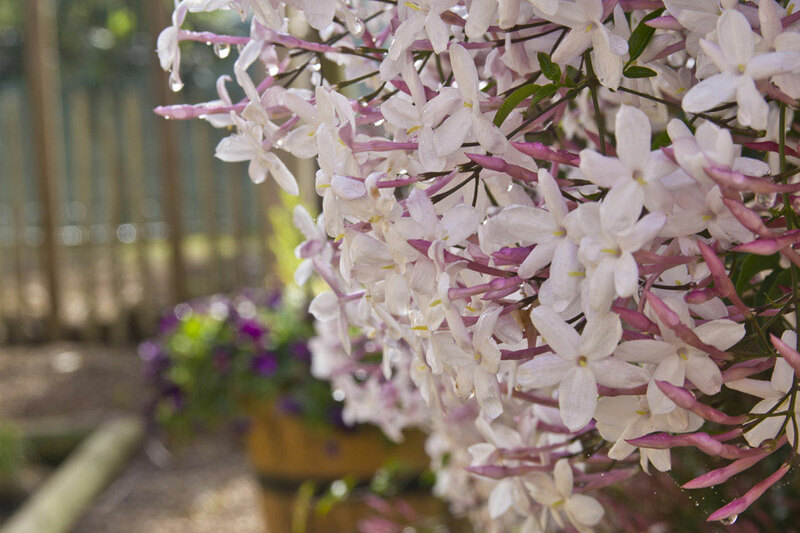 Note: Jasminum polyanthum, also known as Pink Jasmine (or White Jasmine), is an evergreen twining climber from China. It produces an abundance of pink flower buds in late winter and early spring, followed by fragrant five-petalled star-like white flowers which are about 2 cm in diameter. 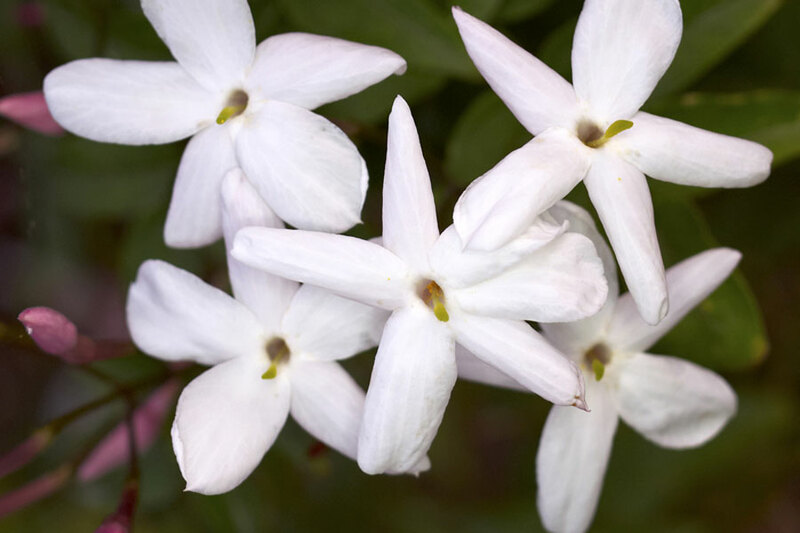 Jasminum polyanthum has compound leaves with 5 to 7 leaflets which are dark green on the upper surface and a lighter green on the lower surface. The terminal leaflet is noticeably larger than the other leaflets. The plant is very vigorous and can grow up to 6 metres in height when supported. 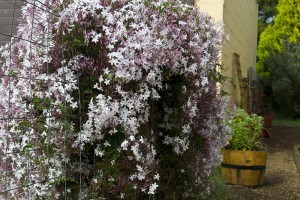 Depending on the climate, this vine has a semi-deciduous to evergreen foliage. 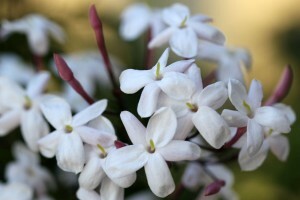 Fruit / flower: 5 petalled, white star like flowers, +/- 2cm wide. 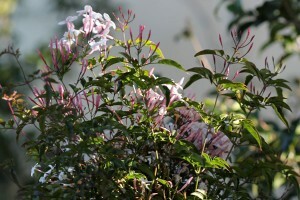 Flowering time: Spring through summer, depending on the climate. 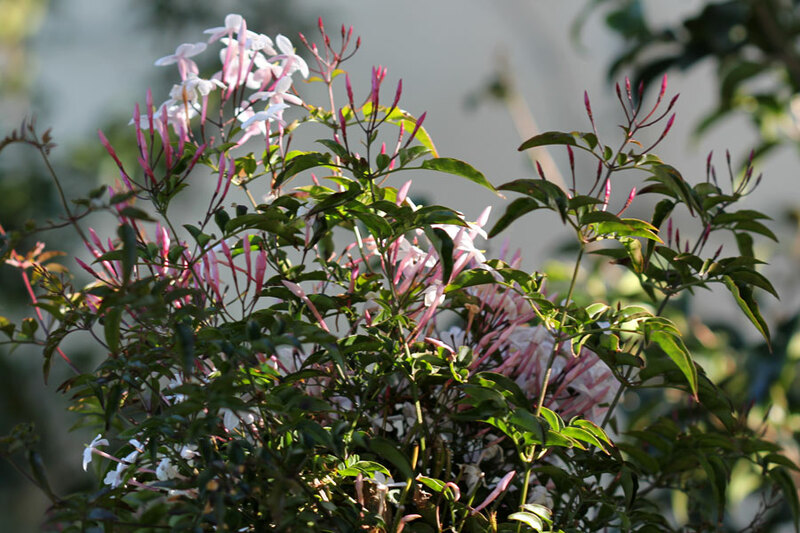 Foliage description: It has compound leaves with 5 to 7 leaflets which are dark green on the upper surface and a lighter green on the lower surface. 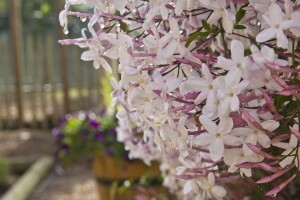 Light preference: Full sun to light shade although it will flower better in a sunny position. 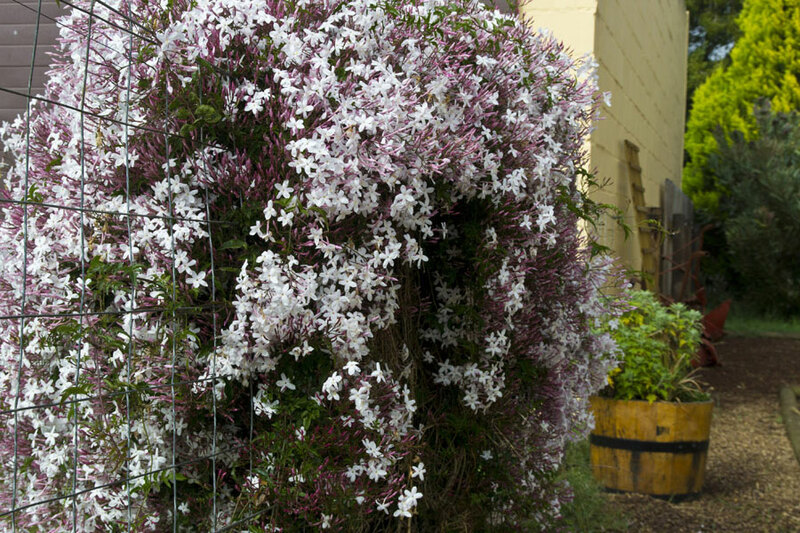 Pruning: Prune out overcrowded growth after flowering. Insects: Aphids, scale insects and mealybugs under glass. 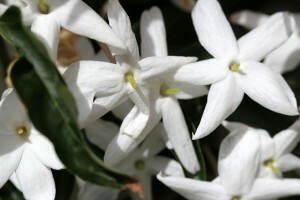 Other notes: The Royal Horticultural Society has awarded Jasminum Polyanthum its Award of Garden Merit (AGM). References: Wikipedia, Shoot Gardening, BBC Gardening.